Yes, it’s true. I am a Windows Phone geek. the HTC Windows Phone 8X is my all -time favorite. I love that operating system. I love an operating system. How weird and geeky and sad. But geekdom has it’s benefits: HTC recently sent me its new Droid DNA to review, and while it doesn’t turn me away from my Windows Phone obsession, it does tempt me. And that’s saying a lot. First, there’s the technical mumbo jumbo: the DNA has a quad-core processor, Android 4.1 Jelly Bean, 4G LTE, an incredibly clear and vibrant 5-inch screen, and a pretty seriously rockin’ camera. It’s also pretty nifty looking. Black with red stripes. Cool rubberized grip. Very macho. (And very different from the elegant and understated windows phone 8x). Oh, and very thin – 0.38 inch thick. The phone also boasts a 2-megapixel front-facing camera that can shoot video in 1080p HD. Fast doesn’t begin to describe this phone. It turns on fast, switches functions fast, and searches the internet at lightning speed. If only it ran Windows OS, I’d love it! But that’s not really fair. The truth is, once you are used to one OS, it’s hard to adjust to another, and I for one, don’t find the Android system all that intuitive. Here’s what I like: endless customization options for your 5 home screens (though so many can be confusing — less can sometimes be more), more apps than you could ever need, including a mobile hot-spot app that comes in very, very handy more often than you’d think. Here’s what I don’t like. While this particular phone, the DNA, is a beautiful piece of hardware, the OS is still the same, unattractive, little icons smushed on a screen Android. Windows is so pretty! When it comes to performance – the DNA is fast, takes great photos, has a super crisp screen. But I’ll stick with my Windows Phone. 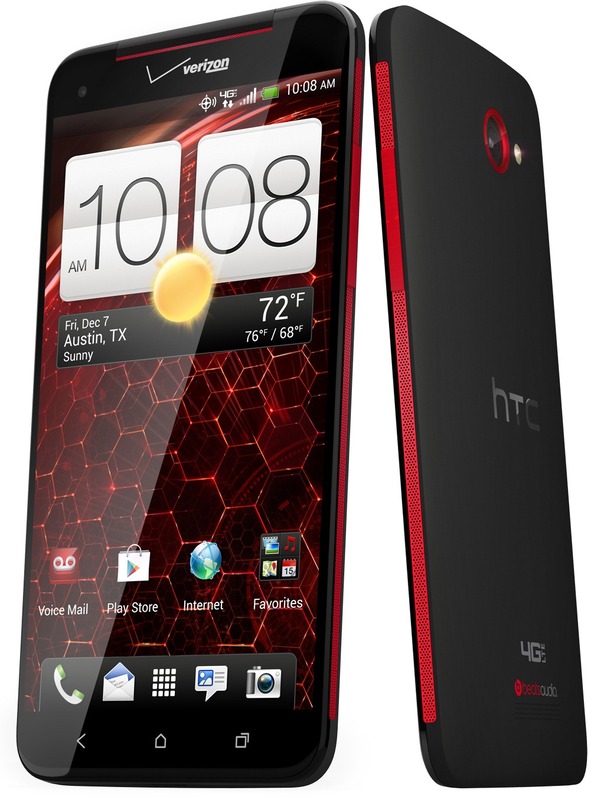 The New HTC One. Super slim aluminum case. Live-Tile like interface. And lots of cool extras. Phone – the interface was. Plus, it features livestreaming content, a proprietary photo app, front facing beats sound (the DNA has beats sound too. Impressive), Sense Voice to filter out ambient noise during a phone call, a camera that cares more about light (300% more) than megapixels (as well it should) plus, well, it’s pretty. Miraculously, it’s also pretty much the only cool phone I’ve seen that’s going to be available for Sprint, the carrier I am oh, so, painfully married to until some date in 2014, when I will hightail it over to Verizon. But for now, sorry Droid, I’m still a Windows Phone girl.